This was another packaging project done when I was an undergraduate student. The album I chose was by the rapper T.I. In this album, he is having an argument with his alter ego, T.I.P. T.I.P. is the gangster, hustler while T.I. is the new clean businessman. I tried to show this in my design. The outside of the cd cover is white and clean with a person dressed in a suit. When you slide the disc out you see the albums name show up on the bottom right corner. The image underneath is darker, it is an image representing T.I. as a gangster. 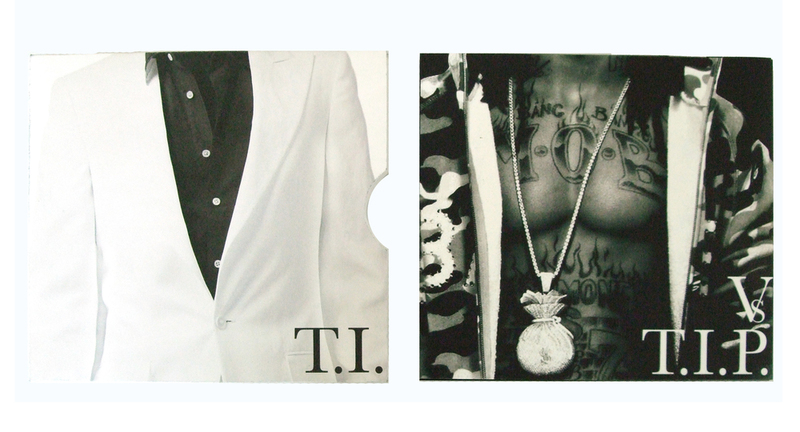 When you flip open the booklet the 'P' slowly fades away into T.I.